Fenix Blade: Cry Havoc is a prequel to Fenix Blade: Scarlet Halo and a sequel to Frenetic Plus. It's up to you to figure out how that works. 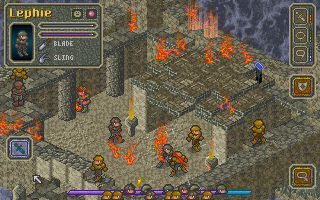 The project attempts to marry a streamlined interface with a fast paced battle system that allows players to safely introduce fresh units all the way up to the final mission.